Up until recently, I was pretty skeptical about wearing white jeans. I had a large and varied list of excuses as to why you would not find white pants on my body. I thought I was too old. White jeans seemed more appropriate for the "younger than me" crowd. I was afraid that the lighter color would make me look even bigger on the bottom than usual. Plus, I live in Seattle ladies. Rain, wind and white jeans don't seem like a good mix. 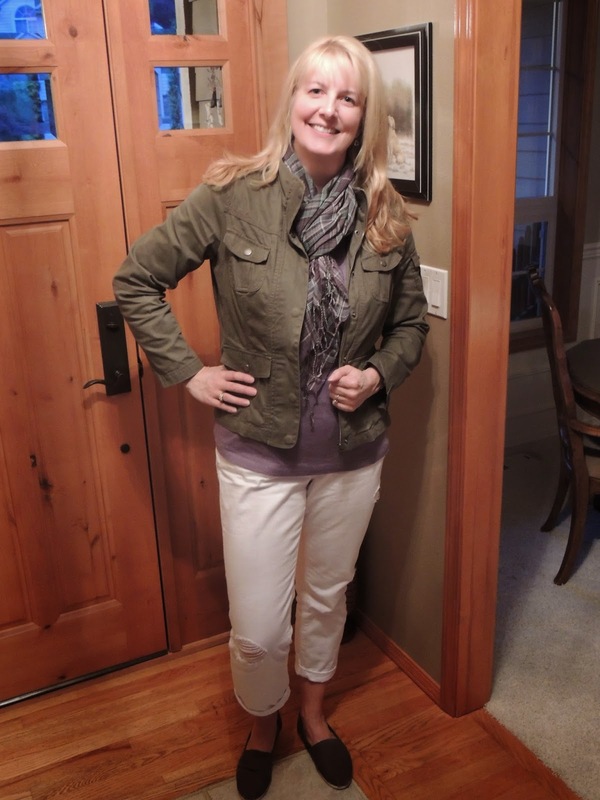 Then I found Alison's blog at Get Your Pretty On and she did an entire post on finding the perfect white jean. I emailed her and shared my excuses. She assured me that I was not too old, and I realized that I should stop being afraid of a pair of pants :). 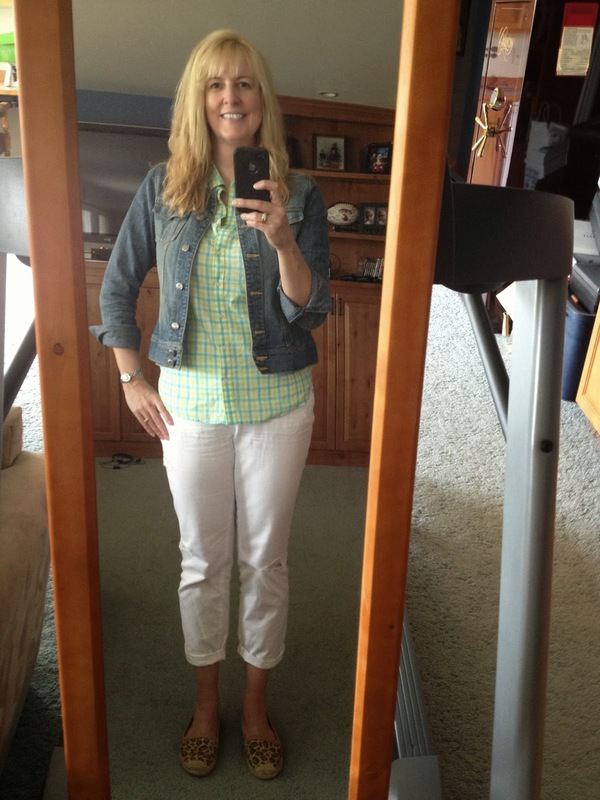 When I joined her Spring Style Me Challenge, one of the essential items was a pair of white jeans. Great...now I was going to have to stop saying "oh yeah, I can totally rock a pair of white jeans". I had to go out and actually buy a pair! I decided to head directly to my best fashion friend, Loft. It was like a wonderland of white jeans in there! They had at least 6 different styles in the store, and I notice that there are even more choices online. I tried on several pairs, and every one was figure flattering and had plenty of coverage. I ended up buying the Boyfriend fit and it was true love. Just in the last week I have worn these jeans twice. I have received so many compliments on them, they cover my problem areas, and they are really comfortable! No matter how old you are or where you live, I urge you to join me and say yes to white jeans :). 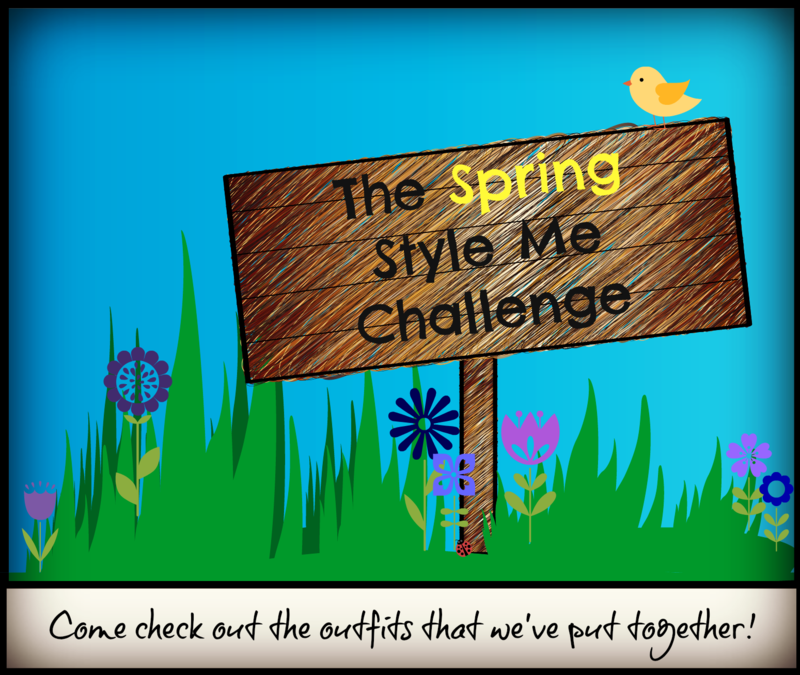 Today I'm joining up with some lovely ladies who are also taking part in the Spring Style Me Challenge. 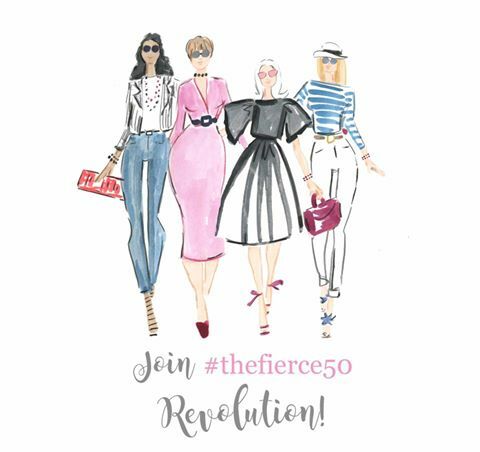 Check out their blogs below for more great outfit inspiration! Thanks so much for stopping by! I definitely feel outside my comfort zone when I wear them, but I'm getting better. Great military jacket! I am wearing white jeans for the first time as well! I like how they look, but haven't done well in the keeping them clean department! Keeping them clean is the hardest part. Two wearings and they're done for. You look great! As a child of the south, I was always told NOT to wear white before Memorial Day. Baloney. I've busted out my white jeans and I'm wearing 'em! You Rock! I grew up in the south too. I'm sure my mom would pass out if she saw me wearing these jeans now. Good thing she's in Arizona! Thanks so much for stopping by. Very cute outfits!! I love both jackets too, and the scarf. I've already spilled my coffee this morning though, so wonder if I should stick to dark (or brown) colors! This post inspires me though! Thank you for this post. I feel that I am too old for white jeans. But after reading your post and viewing your post as how to style them, I need to go out and get me a pair! Yay for white jeans! Way to take a risk! These look really nice on you and I love them with the denim jacket and green button up! So jealous - white jeans are the one clothing challenge piece I don't have, and I regret it daily. The other is the leopard flats, but I can't find them anywhere! You're rocking the white -- go girl! I appreciate the compliment! I got my Leopard flats at Nordstrom and I love them. LOVE LOVE LOVE the title of his post!! Way to embrace the white jeans and rock them every.single.time!!! you look GORGEOUS in white jeans!! I know what you mean about stress eating! I love the boyfriend fit because they are more "forgiving". Thanks for stopping by! Lana, your white jeans look great and I love how you styled both outfits! I bought my first pair in the fall and am wearing them all of the time now. Thank you. I'm hoping the weather warms up soon and I can wear them with something besides a jacket! Lana! I'm in love with my white jeans too! Every time I wear them I just sense my attitude is rocking...crazy! p.s. I'm 50 and I agree they are great for any age! Thank you! White jeans + attitude - love it! The white jeans look great on you! They seem like an items all ages can wear. I like how you have paired them with greens. Thank you ! I appreciate you coming by. Oh my gosh, I love that you're doing this hop to each other's blogs, what a genius idea! Yes you can rock those white jeans! You look awesome in them! Thank you for telling me I wasn't too old to wear them! They are one of my favorite jeans now. I still haven't entered the realm of white jeans. I'm worried about them being see-through. I did purchase a pair of cream or beige jeans this year and I can't wait to style and wear them. I'm like you, thinking that by placing the white on the bottom we are directing the eyes there and in turn making our lower half look larger. I can see though now that your photo turns that theory on its head. The pale green is lovely with them. I appreciate your nice comment! All of the jeans at Loft were not see through - my number one criteria! Wow they look great! I have the fears of white pants :-( But this inspires me to not give up yet on them & to go seek a pair! Thank you! Thanks for the nice comment. I think they look best with the denim jacket too! 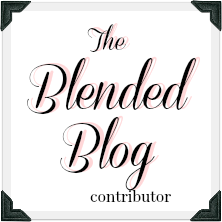 Lana, thanks so much for stopping by my blog. I actually checked out your blog last week. I totally say YES to White Jeans. Good job with this challenge. Loving both outfits, especially the first one. And now I want a Green Gingham Shirt. Thanks Ada! I have been visiting your blog each week also. I'm trying to get better at leaving comments! I really like your style and will be checking back often. Those are so cute on you! I have been trying to avoid them too. My current excuse is that I have a baby and she will mess them up. Thank you! A baby could be a problem for white jeans :) Maybe when she gets older!